As I'm writing these words right now, I am lying in my bed with the thickest sweats I can own and a sick kit right next to me. The drop in temperature almost always leads to a few sick days for me (and for most of all of you reading this as well). This is not necessarily surprising since flu season is among us and all those germs are being spread around. While I like to believe my immune system is top notch, I am not resistant to this time of year. If you are feeling under the weather or have those pre-flu like symptoms popping up, this might be the perfect article for you. I do want to disclaim that, while these help in feeling better, they are not a cure for an illness. If you feel yourself getting sicker by the minute, it might be time to go see a doctor and get proper medication to speed the process along. These are just tips and tricks to help you feel a little bit better until you kick whatever it is that rudely entered your body. I've been using this routine for years, and I can honestly say it makes the torture of illness ease up for short periods of time (which is all we can hope for when slowly dying...dramatic? Me?). Now, if you are incredibly sick and don't feel like reading this article (which I don't blame you), then I'll leave this a couple videos here and here for you to indulge in. While I love writing and reading, I know that we sometimes cannot focus for that long when we are not 100% ourselves. Plus, these two videos give a few extra tips I don't talk about that are also fantastic steps to take when sick. Sleep is your best friend. Shut down your computer, turn off your phone, and take that much-needed rest your body craves. We all know sleep is needed when sick, but for some reason, we always try to fight it. I get it! We have work that we are missing out on, chores that are endlessly piling up, or maybe even kids we must take care of. I get that we can't always get the amount of sleep our body needs. If you can, try to get in a few naps throughout the day and, at the very least, take everything slow when you are sick. When you sleep you give your body the chance to fight whatever it is that is wreaking havoc in your body. This peaceful rest lets your immune system focus on other things besides helping you keep energy as you run around the house. If you want to sleep but, due to whatever reason, cannot get to that stage, then it might be time to take out the medicine. I love taking Nyquil when my symptoms are keeping me up. It helps relax my body and put me into a dream state within the hour. Plus, it gives your body a few more troops to help fight that infection. Keep a sick kit nearby. I'm not going to tell you about the fact that you should be drinking water. You should know this by now. One thing I do live and breathe for when I'm sick is tea with honey and lemon. This has been my drink of choice for years and for a good reason. I literally have a tea station in my house where I have multiple different flavors and an assortment of various tools to drink them from (like a french press, tea strainers, and the simple tea bags). The herbal teas I usually reach for when I'm sick include chamomile, ginger, jasmine, and green tea. 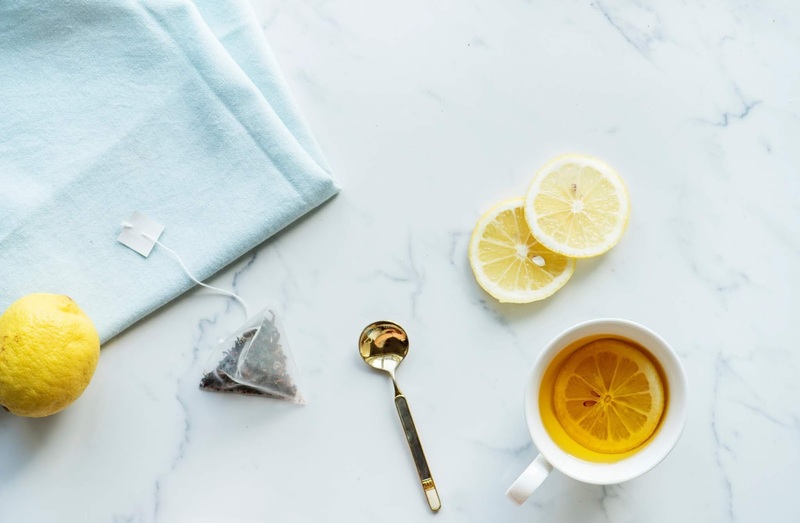 These teas, like many others I didn't mention, have amazing properties that are beneficial for your body when you feel a little under the weather. They can help soothe some aches and pains, calm an upset stomach, and have antibacterial properties as well as antioxidants. So, where do the honey and lemon come in to play? Honey, among many other health benefits, can help fight infections in the body. Not to mention that the thickness of honey can help soothe a sore throat and, if it needed more, just tastes great with tea. Most people can get on board with honey. It is usually the lemon that loses people when I tell this little trick. First off, if you cannot do the tartness of lemon, then this is your drink. The combination of honey and tea help lessen the strength, making it easier to digest. Overall, lemon is a fantastic source of Vitamin C, which is known to help the body defend itself. So go ahead, by the lemons (if anything you can make some great lemonade). Warm clothes, warm shower, warm everything. Warmth is your friend when ill. Take a warm shower, put on those sweats, and dive under the covers. For one, you are typically freezing when you are sick because your body is all over the place trying to fight infections. It's called a fever, and we all know how terrible it can feel. When we are kids, our parents freak out and rush us to a hospital when we have a fever. This is because we have been taught that it can be deadly if not treated right away (which isn't necessarily false). A fever is your bodies way of fighting whatever bacteria you have in your body. Kind of like boiling water to get rid of the little bacterias, our immune system raises your temperature to cook that infection. While you should be a bit more careful with children, adults shouldn't be so quick to drop their temperature. If it is bringing you discomfort or rising too high, that is when you should try to bring it down with medications. Otherwise, a little fever is not all that bad for you. In fact, it is your bodies built in defense. Magical, right? Just make sure to keep an eye on it and take proper medications to help ease any discomfort. If that isn't enough, warmth can bring many benefits to it. For instance, a warm bath or shower can help loosen up mucus in your body so that you can get rid of it. Drinking warm liquids or eating soups can also help congestion and relieve a sore throat. As hard as it might be to get naked and jump into a shower, your body will definitely thank you for it later. A little moisture in the air never hurt. My best friend during the flu is my humidifier. I didn't even know it was beneficial till years after using it. I just thought it felt amazing and helped put me to sleep by warming up the room a little. We all know that staying hydrated is a crucial part of getting over any illness. What you might not realize is that you can add moisture into your life without drinking. A humidifier and 'hydrate' the air and help open up any congestion you might have. I personally use a Vicks humidifier and get the Vicks VapoSteam to put in it. This is an easier way to get the benefits of Vicks without having to rub it all over your chest. It will seep into your body and help break up any mucus you have sitting around in your lungs. Not to mention, it smells incredible when you are sick. 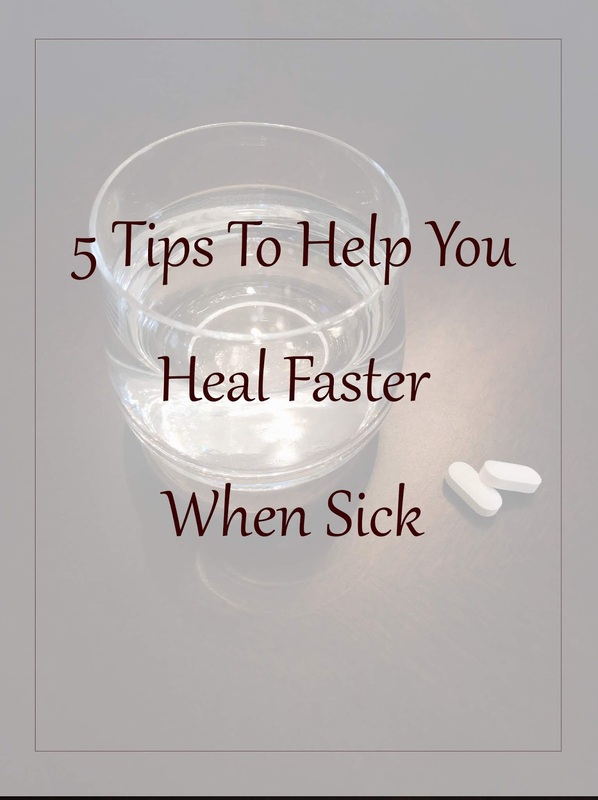 Let me know in the comments below some strategies and tips you swear by when sick. We all have our own rituals, sometimes ones that were handed down to us from grandparents (which can sometimes be questionable). Getting sick is no laughing matter. Make sure to stay hydrated, stay warm, and get as much rest as you possibly can.